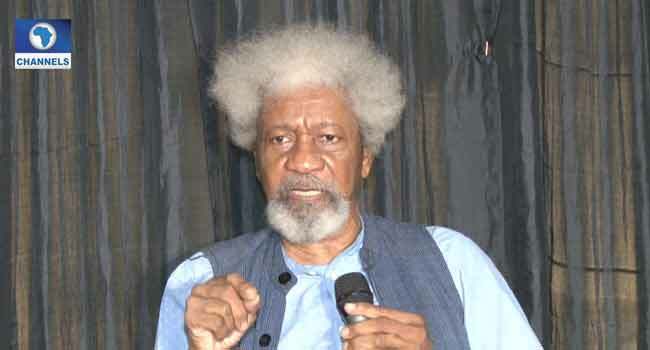 Professor Wole Soyinka has asked the Federal Government to declare as terrorists, herdsmen responsible for attacks in states across the country. The Nobel Laurette said this on Thursday in Lagos, while delivering his keynote speech at the Ripples Nigeria Dialogue; an annual forum designed to broaden the conversation on issues troubling the nation. He believes it is high time the Federal Government gives a stern warning against the carnage and utter destruction they inflict on the communities. “We’re speaking here of a president showing up at the arena of human desecration, not to shed any anxious tears, but to read the riot act and give an order, right on the scene of violation. “Order his forces into action against the arrogant, blood-thirsty renegades of society who wallow in the blood of others, having been assured one way or the other, of a cloak of impunity. Soyinka also talked about the need for Nigerians to wake up and stand against capital punishment being suggested in the proposed Hate Speech Bill. “Life has become so trite, so cheap, that a group of supposedly rational, intelligent people in this world, especially a world that is trying to get rid of its degrading punishment called capital punishment and they come and decree hanging, No, they’re not going to hang anybody. “They just want an instrument to silence people. It is ironic, of course, that I should call Nigerian’s to resist this law,” he said. Also present were economist and management expert, Dr Pat Utomi; Former Governor of Anambra State, Mr Peter Obi; Human rights activist, Dr Abiola Akiyode-Afolabi, and Dr Reuben Abati.